The IHG Rewards Club Premier Master Card is a great travel rewards credit card. You currently can earn 100,000 bonus points when signing up, worth $500 or up to 20 free nights. 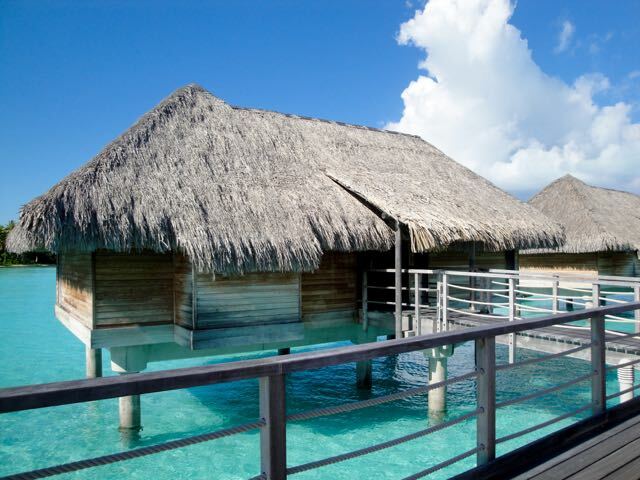 You also get a free night at any of over 4,000 hotels worldwide (worth $200) for its annual fee of $89 each year and instant Platinum status in the program with valuable perks like room upgrades. This makes it one of the best values in hotel credit cards, even if you don’t stay frequently at IHG Hotels. Find out why you should consider it! If you are new to this site, please read “how we evaluate credit cards”. The IHG Premier MC is available for US Residents with good credit. IHG Rewards Club is the rewards program of the Intercontinental Hotel Group, one of the largest hotel group in the world with more than 5,000 hotels worldwide, including Intercontinental, Holiday Inn, Holiday Inn Express and a number of other brands. You receive 100,000 points after spending US$3,000 in the first 90 days from signing up. The bonus is enough for 20 nights during IHG PointBreaks promotions and 3 nights at 90% of their properties! As long as you hold the IHG Premier MasterCard, you will have Platinum Status in the IHG program. With the card, on stays of at least four nights, the fourth night will be free, a discount of up to 25% on your reward points! Each anniversary of your card, with the payment of the annual fee, you receive a free night certificate, valid at any hotels requiring 40,000 points or less, a value of approx. $200! The IHG Rewards MasterCard is issued by Chase Bank and requires very good credit. Chase Bank is one of the biggest players in the rewards card space, has been very aggressive in launching cards with strong benefits over the last few years and is relatively easy to get approved for. 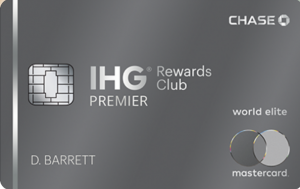 They limit customer to 5 new cards within 24 months for certain cards, but the IHG Rewards Club Premier MasterCard does not fall under that restriction. How I see it: The current sign-up bonus of 100,000 is the highest for this card yet and very competitive with a value of $500. The bonus is immediately useful, because free nights can be had for as little as 5,000 points, 90% of IHG Hotels require 30,000 points or less (like the fantastic Indigo Bali Seminyak) and even the most expensive luxury hotels, like the InterContinental Bora Bora, can be had for 60,000 points! 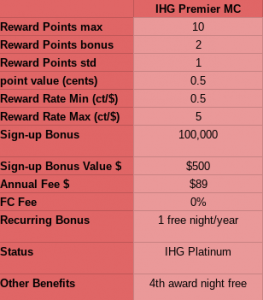 Earning points is very good at IHG Hotels with 10 points per $1 spent, a 5% return rate – that’s what I use the card for. The return for regular purchases of 1 point/$ is very low and I’d recommend other cards that earn higher value points instead, like the Citibank Prestige or Wyndham Rewards Visa! Instand Status: The IHG Premier MC offers instant Platinum status in the IHG Rewards Club program, just for signing up! Platinum is the second highest level in the program, offering you complimentary room upgrades, late check out and other valuable perks. 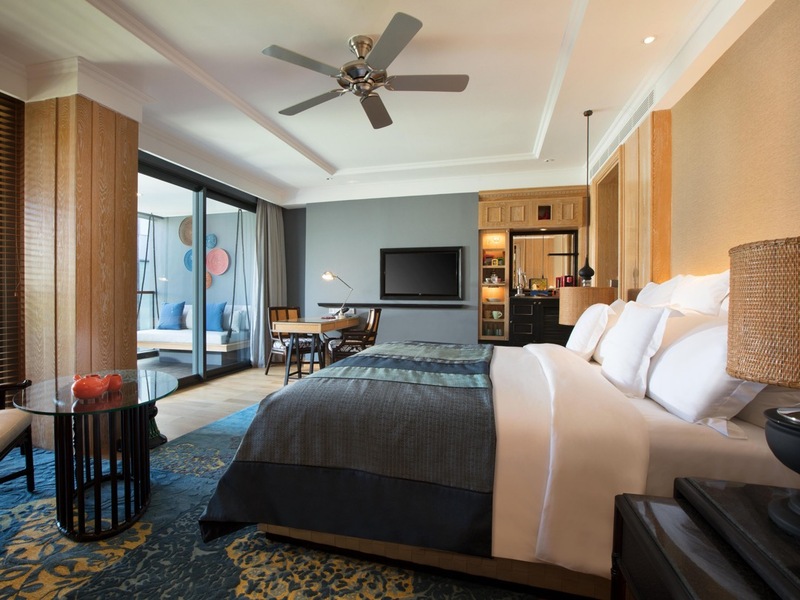 Free night certificate: Each credit card anniversary upon paying your fee, you receive a free night certificate, valid at any IHG hotel that requires up to 40,000 points/night. While that is a devaluation from the previous IHG Select MC, it’s still great value – I value 40,000 points at $200, more than twice the annual fee, making the card essentially fee-free and worth keeping for the long term! Fees: The annual fee of $89 is higher than on the previous card ($49), but still good value considering the free night certificate and instant Platinum status in the program. The card charges no Foreign Exchange fee, making it a good choice for traveling abroad! The card uses Chip & Signature for safety. Bottomline: I’ve held and recommended the IHG Select MC for years. While the benefits have been adjusted, it’s still a great value card. And with over 5,000 hotels all around the world, it’s useful for many travelers! The sign-up bonus of 100,000 points is an incentive to sign up now. It’s temporary, so check it is still in place. You can read all the details and sign up for the card here! I do not receive a commission for this card – I recommend it because I believe it’s a great deal.